You are here: Home / Metabolism / Do you need to count protein, fat, and carbs? Do you need to count protein, fat, and carbs? Coming from a background of food obsession, I didn’t always have a positive relationship with food. Counting things like calories, fat, protein, and carbohydrates was a method of control. And it never ended well. 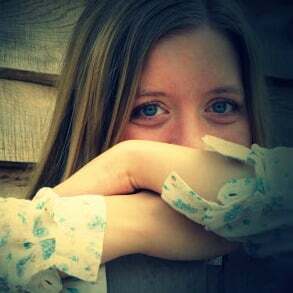 At best, it triggered a lot of negative patterns and anxiety about what I was eating. This usually left me feeling like a failure because I could never get it “right” and I would either become more militant or just give up. I eventually learned to break away from that behavior. Instead, I learned that balance (not perfection) is the key to healthy eating. Am I totally against keeping track of calories or macronutrients? No, definitely not. There’s something to be said for awareness and how it affects your daily choices. If you’re an athlete or have a medical condition, keeping a closer eye on what you eat may not only be useful, but necessary. However, for the average person who just wants to be healthy and happy, counting macros every day is probably going overboard. You really have no idea what you’re eating. Sometimes when you get starting on a journey to becoming healthier, it can help to know where you stand. Maybe you’re eating way more than your body needs. Or maybe you’re eating way less. You might have no idea how much protein you’re eating in a day, and you want to make sure you’re getting enough. This is when counting can come in handy. Perhaps just for a week or two, track what you’re eating on paper or a simple smartphone app, and see what’s up. It can help to know where you’re starting from, so you can make small changes toward balance if needed. You’re having trouble with protein. This was an issue for me, and it seems to be a common one. It’s pretty easy for most of us to eat carbohydrates and fat (bread and butter, right?). However, with protein this isn’t always the case. Protein is kind of the neglected nutrient. That’s why I start my day with a big whopping dose of collagen protein in my coffee breakfast smoothie every morning. I actually tracked protein for a long time before it became a habit. Now I get plenty of protein without thinking about it, because I was able to make some daily habits that put my protein intake on autopilot. Read more of my thoughts on protein here. You want to establish some habits. 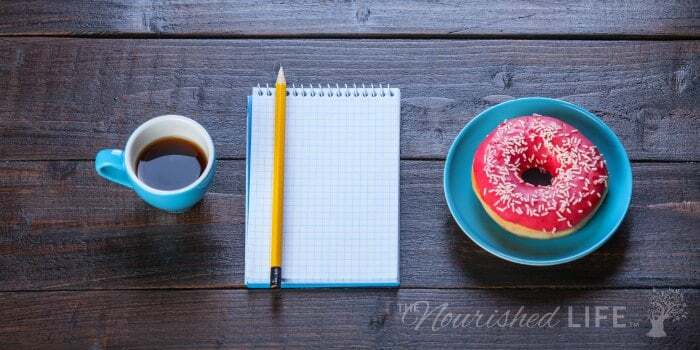 Piggybacking off the first two on this list, sometimes you have to go through a little extra effort until healthy habits become second nature. It may be helpful to keep track of a few things (I recommend as few as possible) until you start to intuitively get a feel for what you’re eating and how it makes you feel. When is it a bad idea to count macros? If you struggle with negative body image and an obsessive relationship with food, then counting might not be for you. For a long time, counting was a huge trigger for me. Its benefits never outweighed the side effects. So be honest with yourself: how does tracking food affect you? Is is mostly positive or mostly negative? Does it give you a sense of awareness or does it just stress you out to have to worry about one more thing? What about macros for kids? This is something my friend was curious about, and I don’t blame her. Making sure your kids eat well isn’t always easy. As a mom, I definitely want to make sure my kids are getting a balance of food — but I also want to make sure they see mom having a healthy relationship with food. In fact, my kids were my primary source of motivation when it came to letting go of my obsessive relationship with food and my body. I didn’t want to pass on these negative patterns to them. Experts say parental behavior has a strong effect on their children’s body image and relationship with food, and I’m inclined to believe them. If there is some kind of carb, fat, and protein on your plate, we’re all good. Of course, this isn’t a rigid rule and sometimes it gets thrown to the wayside. But it’s so simple to follow, it’s something we can pretty much always do. Even on road trips or if we’re just having a chaotic week (life happens, right?). I do emphasize with both my kids to remember to eat protein at every meal, since this can be a little too easy not to do. Beyond that, I try not to worry too much. So is counting macronutrients good or bad? In and of itself, it’s neutral. It depends on you, what your individual needs are, and how counting affects your mental state. I track my food in my FitBit every day now, just because I like to be aware (I’m a numbers person). But for several years, I had to avoid tracking things like calories and macros, because it triggered a lot of obsessive behavior and negative feelings about my body. It wasn’t worth it. But as I learned to stop hating my body and develop of more balanced relationship with food, I was able to start keeping track of what I eat. For the most part, I enjoy doing it as proof that I can be healthy and even lose weight without dieting — in fact, while eating over 2,000 calories a day, every single day. I’m kind of proud of that, so tracking for me is a little like a badge of honor. I made it. I’m free of the obsession. I turned a corner and I can be healthy and fit without ever dieting. But again, I didn’t get there right away. I had to completely ditch the counting (and the scale) for a few years before I had a strong foundation of self-compassion to stand on. It didn’t happen overnight. So you have to be honest with yourself about whether counting protein, fat, and carbs is healthy for you. Don’t let anyone tell you that you have to do this or you can never do that. This is all up to you. It’s your body, it’s your mind, and you get to call the shots. 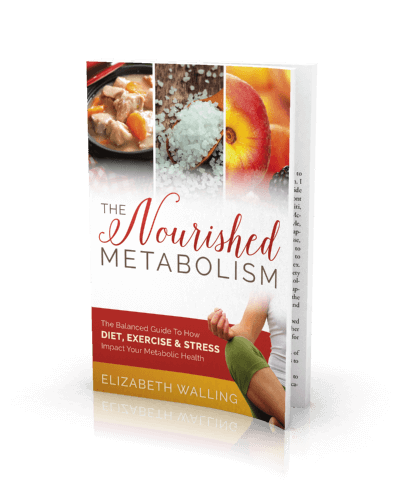 You can read more about my thoughts on nutrition, stress and metabolism in my eBook The Nourished Metabolism. No gimmicks, just a balanced perspective on how you can improve your metabolic health. Click here to check it out.